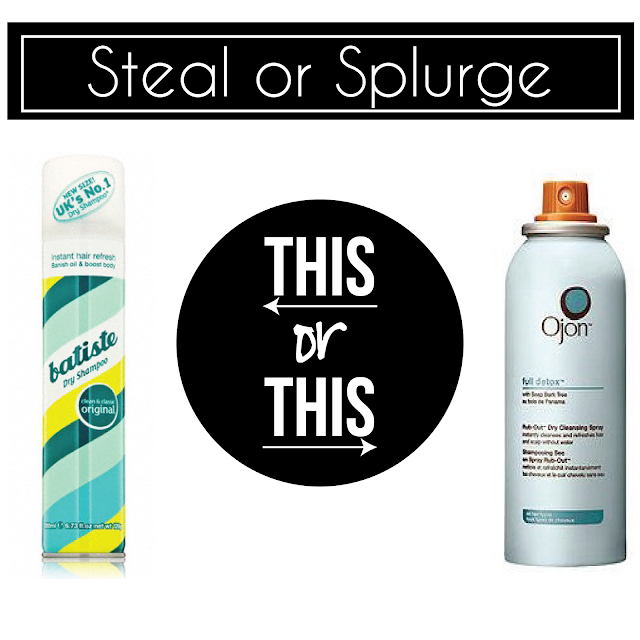 Social Sara: Dry Shampoo :: Do You? Dry Shampoo :: Do You? I don't know about you but for me, every minute counts in the morning. I'm not a morning person (at all) and the more time I can shave off my morning routine, the better. My hair, hands down, takes up the most time. And if it's raining out, forget it. No extra effort goes into the hair. Dry shampoo has been a life saver, especially when I'm traveling. Heat is so bad for hair and by recycling my "do," I can save my hair from heat between washes and a little time. I always opt for the original clean scent. My other go-to is a little on the pricey size but oh-so worth it. Ojon Rub Out Dry Shampoo is fantastic. It does the trick, doesn't dull hair, adds volume to recycled hair with no stiffness or crunchiness, and it smells wonderful. I actually prefer the smell of Ojon over Batiste but both smell nice. Weighing in at $13-$24 per can, depending on size, this is definitely a splurge for a product I don't use everyday but as I mentioned, it's very much worth it. Trust. I have both of these under my sink and alternate use depending on the day's activities. For a longer day, I opt for the Ojon simply because of the lingering scent. For shorter, more laid back days, I reach for the Batiste. You certainly can't go wrong with either of these. If you are new to dry shampoo, I recommend the Batiste simply for the price. But, if you're feeling adventurous, try the Ojon. Either way, I love them both and think you will too. So there you have it...my steal and splurge! Do you use dry shampoo? If so, do you splurge? I use dry shampoo a lot to touch up my hair after a long day if I need to go out at night. My hair is super fine and I have to shower every day or it gets oily. I mess with my hair a lot during the day, and by evening my front of my hair separates from the rest and looks bad. I like to spray a little dry shampoo to reshape. Works wonders! I haven't tried either of these, I will have to check them out. Currently I am using Suave. Super cheap and does the trick alright. I love dry shampoo! I am so happy it has been invented.